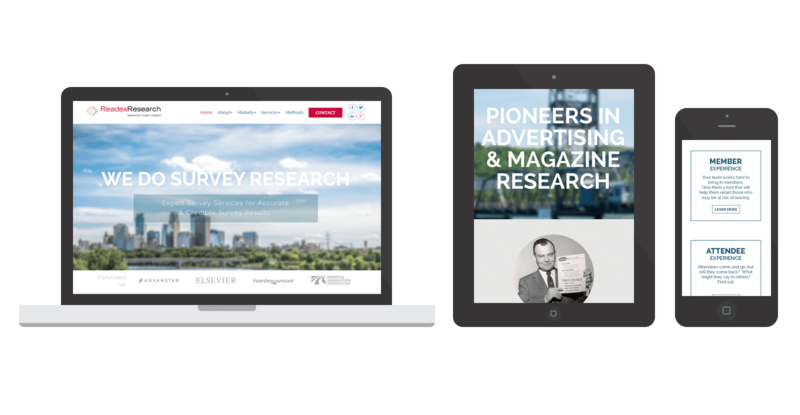 Readex Research specializes in self-administered research methods, mail and online surveys. They wanted to stand out from their competition. We made it happen. Readex Research contacted Spark Logix Studios after seeing all of the great work in our Portfolio. They were looking for a completely new design, something sleeker and more modern that would help them stand out from their competition. They were also interested in a Responsive design, using an easy to use and update WordPress CMS. We were more than happy to help them out with our Responsive WordPress Framework. Using full width images, and some really great graphics that the client helped select, we managed to build a modern, clean site while maintaining an air of professionalism and expertise. By using a minimalist approach to their design, and aA simple to use, intuitive interface, we built a site that meets all of our clients needs, while still resulting in a great user experience on any sized device. Another great reason to use Spark Logix Studios for your responsive WordPress development.